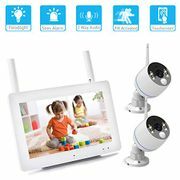 These days CCTV cameras for the home aren't those big boxy things you see on the side of buildings - most common are the smaller units placed inside, or just by the porch, that you can then connect with your smartphone. Some people use it just to see who's at the door when the bell rings, others to monitor any activity when on holiday. Whatever it is, here you'll find cheap CCTV cameras found by our community of bargain hunters. It is common to see CCTV cameras in car parks, pubs, shops and other public places. It has also become the top choice of homeowners who are security-conscious thanks to its prices dropping and easier installation compared to before. Buying the best CCTV system is by no means an easy job, the wide array of CCTV camera kits available in the market today could confuse just about anyone, especially those who are on a budget. If you’re on the market for a CCTV system to help look after your home or business, you want to make sure that you’ve chosen the right setup that best fits your needs and budget. Here at Latest Deals, we’ve tried our best to put together this simple and quick guide to help you in your decision on which CCTV camera kit will fulfill your requirements. Plus we have all the best deals for CCTV cameras for home, outdoor CCTV cameras, wireless CCTV cameras from big UK retailers such as Argos, Maplin, and more eBay. So if you’re looking for cheap CCTV deals, sale, bargain, discounts and voucher codes, you’ve come to the right place. A lot of CCTV cameras are electronic devices which are solid-state connected to a main central recorder instead than broadcasted over the air. Thus, it is a closed circuit, broadcasting to a definite location instead of to anyone in range. The cameras are usually made up components such as sensor, lens and DSP or digital sensor processor. Basically, the lens focuses the light that is to be imaged onto the sensor, and then it passes it to the DPS which then converts it into a TV signal. The signal will be then transmitted to a central location either wirelessly or by wire for storage and viewing. Wired CCTV cameras. These types are the most common and cheapest. A wire is directly connected from the camera to its monitor. The drawback is that it can be hard to install because of the wires, including connectors, cables and extension. Wireless CCTV cameras. You can check the transmitted images to your PC, laptop, mobile or tablet as it uses digital or analogue technology. An app is linked to the smart security cameras so you can monitor everything whenever you are. These type are higher in quality and in price as well. The downside with wireless CCTV systems though is that devices like microwaves, cordless phones and routers can interfere with the transmission. Outdoor CCTV cameras. It’s ideal for outdoor types to be waterproof and comes with a recommended IP rating of 66. You can get these as wireless but you still need to have a cable connect them to a power source. Indoor CCTV cameras. These come in wireless, powerline networked and wired types. Wireless type is not ideal inside your home except if the signal can be encrypted, as any individual within its range and using a receiver suitable to it will be able to view the transmitted images. IP CCTV cameras. These cameras use your internet or network portal in order to send the images to the router of your computer. This allows access to footages via the internet even from remote areas. Bullet type. This type is small and cylindrical in shape and is often used in places where discretion is necessary. There’s also no need to install the camera in a protective dome. Dome type. This is the perfect choice for surveillance. Not only does it protects the camera from chance vandalism, but it also offers a degree of security as it’s hard to tell where its camera is pointed. IR day and night type. This camera may be obvious in appearance but it comes with the advantage of 24 hours coverage outdoors regardless of lighting conditions. At daytime it’ll provide coloured images while at night time it’ll shift to black and white for infrared viewing. Choosing the right lens is important as it gathers the light for the CCTV’s sensor. Everything you see or that’s recorded on its DVR comes through its lens. A better lens is more useful that a camera with a high output resolution in most cases since lens determines the input and the output will always be limited by the input. Also look for a CCTV camera with zoom lens. Some models feature digital zoom while others have optical zoom handled by the lens. Opt for optical instead of digital zoom. Optical zoom normally adds new information as it changes when the sensor is hit by light compared to digital where it only provides no other information except on what was in the original image. There are two things you need to consider when looking at the sensor specs of a CCTV system: sensor type and sensor size. 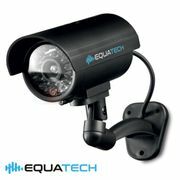 CCTV sensors are usually CCD or CMOS, the latter being the cheapest and consumes less electricity. However, CMOS are less sensitive and the images produced are not that clear compared to CCD. When it comes to sensor size, the larger it is the more light it can process this producing higher image quality. CCTV sensors normally comes in two sizes: 1/4in measuring 3.2mm x 2.4mm and 1/3in measuring 4.8mm x 3.6mm. Larger sensor also gives the DSP many data to work with, which is quite helpful for cheap CCTV cameras that have less capable processors. CCTV camera’s most common specification is its number of TVL or horizontal lines of TV resolution in can produce. This can vary and go as high as 700TVL, with most cameras coming in with 180TVL to 540TVL. Experts recommend a minimum of 420TVL, which is not always the case as mentioned above. This refers to the amount of DVR storage capacity for saving footages. Look for a large hard drive that lets you view footages from further dates, which will be useful when you are traveling a lot. Keep in mind that once your storage is full, older files will be recorded over. Where can I find cheap CCTV camera deals in the UK? Argos offers a wide selection of security cameras from wireless CCTV cameras to outdoor CCTV cameras. They often have discounts and clearance sale where you can save as much as £160 and free delivery on selected cameras. They also offer their lowest price on select devices with discounts ranging from £5 to £10 and 25% off with free delivery as well. You can find cheap CCTV camera kits and accessories at eBay UK. You can buy an outdoor wireless CCTV camera system here with LCD monitor and free postage starting at just £16.99. You can also shop by brand, features and type. Brands include Samsung, Sony, Panasonic, Honeywell, Swann, Hikvision, Annke, Yale and more. When buying from a third-party reseller, make sure to ask for the real images of the items you are interested in buying to make sure you’re getting the real deal. If the seller can provide a video the better. Also it is recommended to read reviews of other customers who have bought from them to give you an idea if the seller is in good standing. You can also get good deals at Tesco on some of the best CCTV system in the market today. 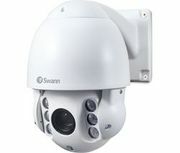 Discounts on selected CCTV cameras here starts at £10 and can go as high as £144. They also have additional offers that you should check which can provide you with more savings like free delivery on Maplin orders plus every purchase at Tesco will score you some Clubcard points if you’re a member. Maplin has hundreds of CCTV camera system that you can choose from a wide range of brands. You can get cheap wireless CCTV cameras at Maplin for as low as £19.99 with free delivery. The online shop also offers discounts of up to £30 on selected models. Their CCTV kits deals can save you as much as £100 with free delivery as well. And if you’re looking for quality CCTV cameras but on a budget, they also have pre-owned ones that are worth checking out.